It's a strange thing about Melbournites, in the dead cold of winter when we wouldn't dream of sitting out in our back yards for a meal, we just don't think twice about sitting outside to dine at our favourite restaurant or cafe. 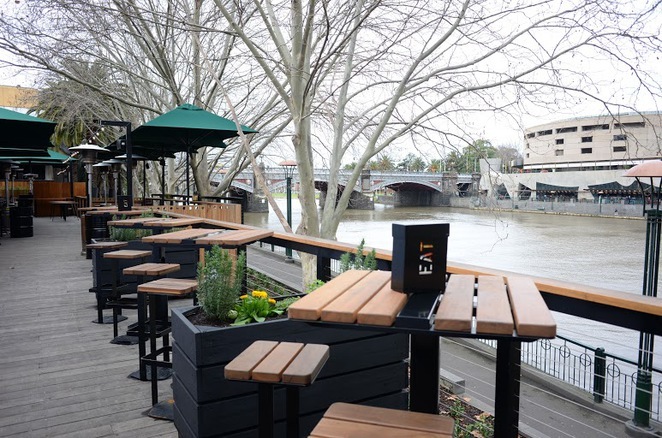 Well, it's about to get a little bit easier to experience the outdoor dining we love without the frostbite at Arbory Bar & Eatery. Since its opening in March 2015, Arbory Bar & Eatery has become one of the cities newest hotspots for a bite to eat and a drink along the Yarra. 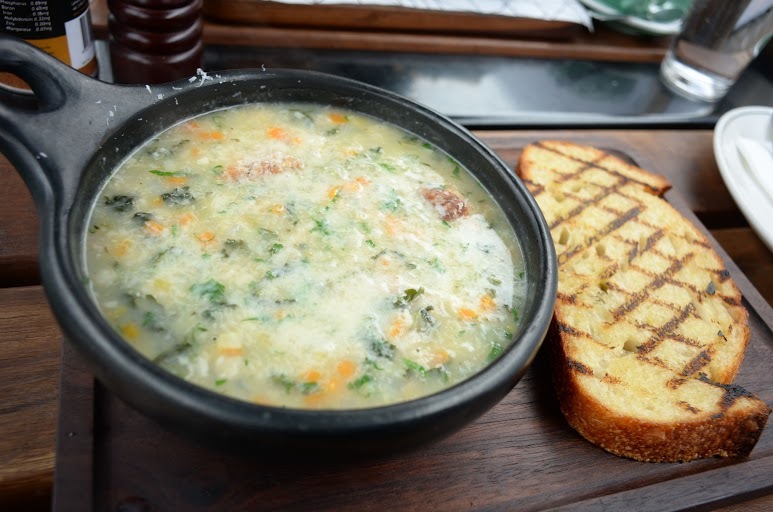 Now with the Winter chill setting in, the venue has amped up it's heating facilities to those who are keen to enjoy a bit people watching and a warming menu, won't miss out. We popped in on a rather brisk afternoon to test it out and found an army of mobile gas heaters, 44 gallon fire drums, and complimentary blankets for customers supplied by Waverley Wool Blankets in Tasmania. With a new Winter menu on offer that has been developed for the colder months by executive chef Nick Bennett, diners will find a variety of sandwiches and burger, smaller and larger plates to share (or not) as well as cheeses and desserts. 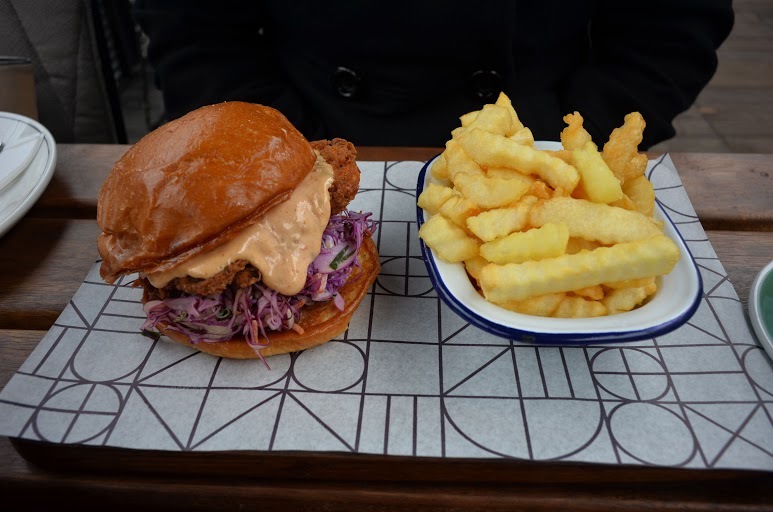 We tried the southern fried chicken burger with coleslaw, chipotle, served and crinkle cut chips which offered just the right amount of spice to keep you warm on a chilly afternoon. My dining companion made the reasonable winter choice with the white bean and oat soup with chicken meatballs. Th perfect warming dish for the cooler weather. 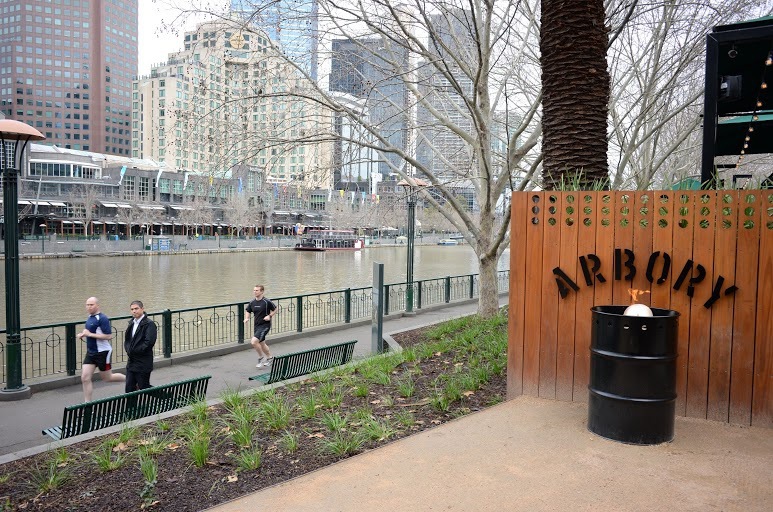 Without a doubt Arbory Bar & Eatery is going to one of the hottest places to spend a Melbourne summer as it's already luring in the after-work and weekend crowds even without the sunshine. And we think summer will be just the right time to come back to enjoy the famous popcorn & salted caramel sundae. I love the concept of blankets for customers. I like to sit in the open air but feel the cold. The Yarra is a special place, particularly in the mornings. Thanks for the article.